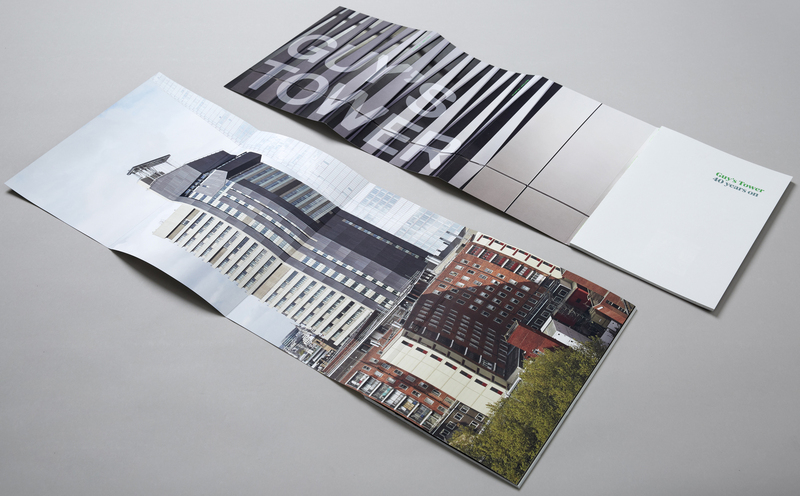 Totalcontent | new work – ‘Guy’s Tower: 40 years on’ book. 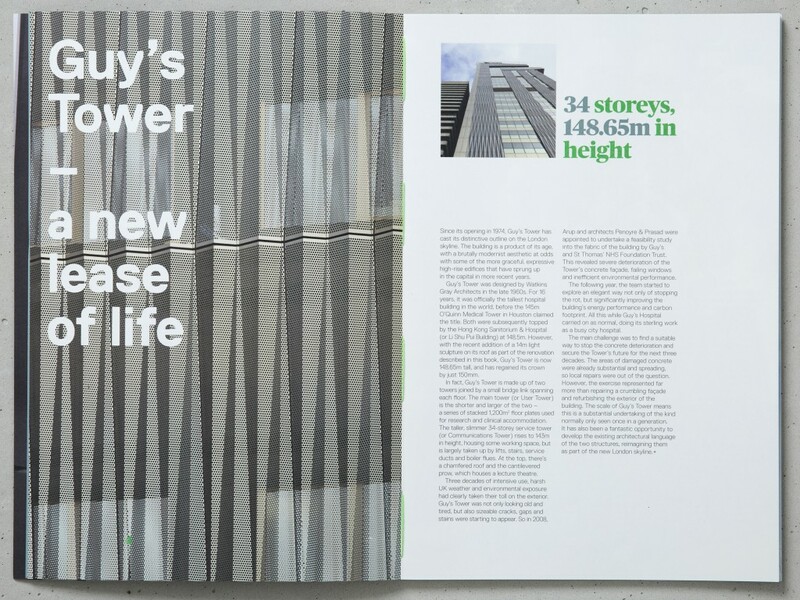 Home » blog » new work – ‘Guy’s Tower: 40 years on’ book. Originally completed in 1974, it’s an imposing 34-storey concrete brutalist hospital building that was very much looking its age. Grubby and crumbling in places, Guy’s Tower needed a major overhaul to keep the environmental damage in check, make it more energy efficient and in keeping with the more glamorous high-rise edifices cropping up on the London skyline. Apart from the scale and the height, what made the retrofit project even more daunting was that the hospital needed to be fully operational throughout. Between them, using an ingenious system of aluminium profile panels and a carefully planned modus operandi for replacing all the windows, the architects, engineers, and contractors managed to transform the building. It not only looks strikingly contemporary, reflecting changing patterns of light throughout the day, but is safer and greener too. 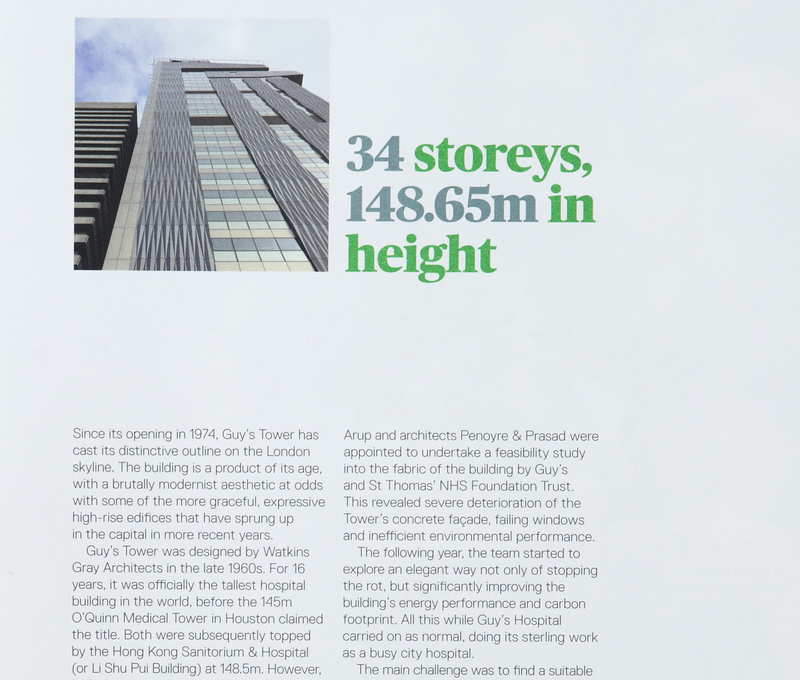 totalcontent was commissioned by design and branding studio Spy to tell the story of Guy’s Tower, from its earliest beginnings to the completion of its current makeover, in a 46-page book. 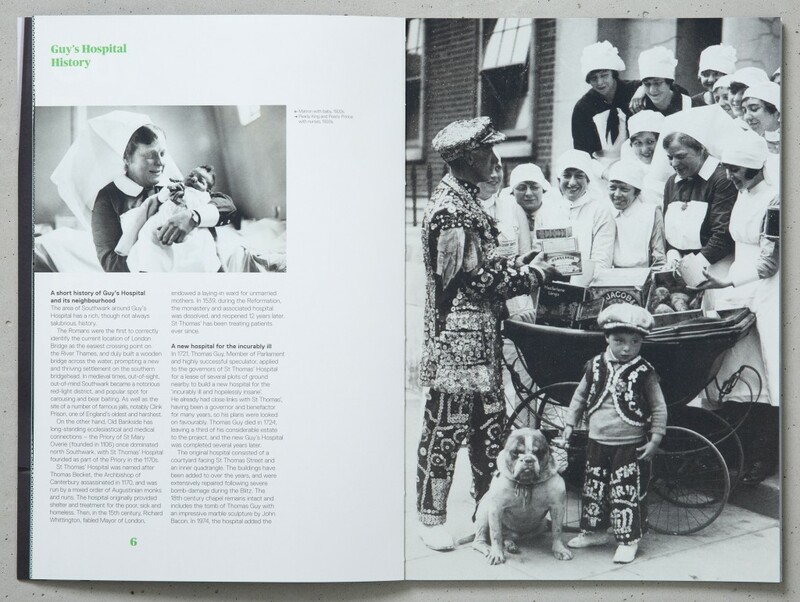 A fascinating job for sure, but not without its complications in that there were five clients — Guy’s and St Thomas’ NHS Foundation, architects Penoyre & Prasad, project managers Arup, contractor Balfour Beatty, and Spy. So the signing off process was far from straightforward. However, the results were hugely pleasing. We enjoyed a broad spectrum of writing — from history and architecture, to process and human stories, to more technical chapters on thermal efficiency. We even dabbled in art, describing the new 14m Carsten Nicholai light sculpture installed on the roof, an addition that has seen Guy’s Tower reclaim its title as the tallest hospital building in the world. 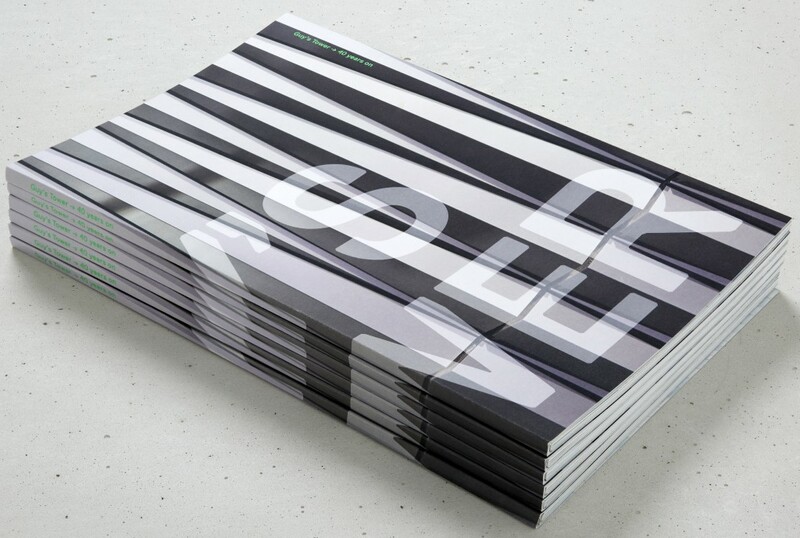 Spy did splendid work on the design, combining dramatic photography with punchy green headline type, metallic inks and ingenious textural embellishments. The finishing touch is a wraparound cover that pulls out to reveal the whole new-look building in all its aluminium-clad glory.